Alsafe® uses a 316 marine grade stainless steel mesh and extra strong aluminium frame combination, ensuring peace of mind for home, office or commercial security needs. Alsafe®’s one-way wedging retention system is used to anchor the mesh in place. This system ensures that the greater the impact, the tighter the grip is on the mesh. The wedging retention system prevents galvanic corrosion, a chemical reaction that occurs when different metals are in contact with each other, particularly in external conditions or in coastal areas. This enables us to offer a five year corrosion free guarantee. 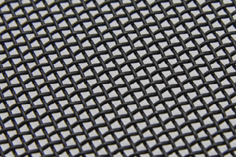 Alsafe®’s Safe View™ SS Mesh product uses 304 grade stainless steel mesh along with a heavy duty extruded aluminium frame to provide the ultimate safety screen. 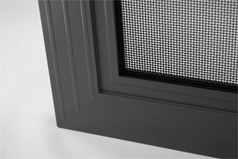 Safe View™ SS Mesh uses a riveting retention system, featuring an attractive cover strip to retain the stainless steel mesh securely and provides an excellent safety door or window screen at a very competitive price. 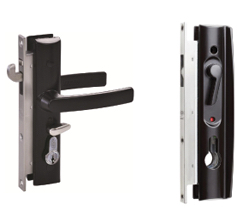 This product is suitable for a hinged or sliding door, as well as windows to provide an effective deterrent to bugs and burglars, while you are at home. 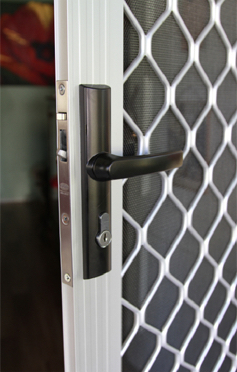 The Alsafe® range also includes the ever popular Safe View™ Diamond Grille as used in safety doors and window screens. 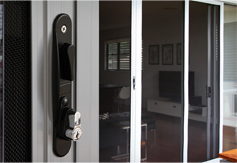 This cost effective safety product offers an excellent visual deterrent and personal safety while you are in your home. 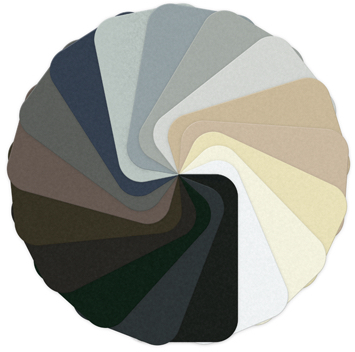 They are custom made to fit and available in a wide range of colours to coordinate with your home. Alsafe® security and safety door frame, window frame and diamond grille are powder coated in a range of standard colours, or can be custom coated to match any Dulux® or Colorbond® powdercoat colour.